MILAN - 1-0 is the final score in the game between Inter and Twente, match day 5 in Group A of the UEFA Champions League. Cambiasso's goal, in the 10th of the second half, is worth the qualification to the next round with a game to spare. seemed fluid and precise. Twente regrouped on the half hour mark, but Castellazzi's safe on a dangerous shot by Janssen was as significant as a goal. The Dutch grew towards the break but the half ended in a stalemate. 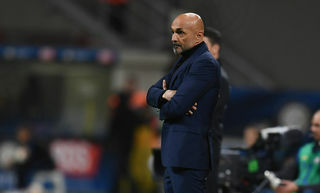 In the 10th minute of the second half Inter took the lead through Cambiasso, who fooled Mihaylov with a solid left footer after the ball had bounced off the wall from a Sneijder free kick. After the goal the Nerazzurri had more than one opportunity to widen the gap, but the Dutch did not give in and hit the crossbar with Landzaat. All in vain for Twente: it was Inter that took the result, qualifying therefore for the next round. FIRST HALF - Against Twente, with Julio Cesar still unavailable, Castelazzi lined up in goal, with Lucio and Materazzi pair of central defenders and Cordoba-Zanetti full-backs; the midfield dam of Stankovic and Cambiasso, and the trio Biabiany-Sneijder-Pandev behind Eto'o. 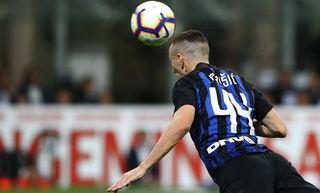 The first real chance falls to Inter, in the 3rd minute: an incredible ball for Sneijder, served from the right by Biabiany, which however finished just wide of the near post. About one minute later it was Pandev to be threatening, but Mihaylov saved his low left footed shot. In the 7th minute Stankovic had a go, but the ball want over the crossbar, albeit by a little. 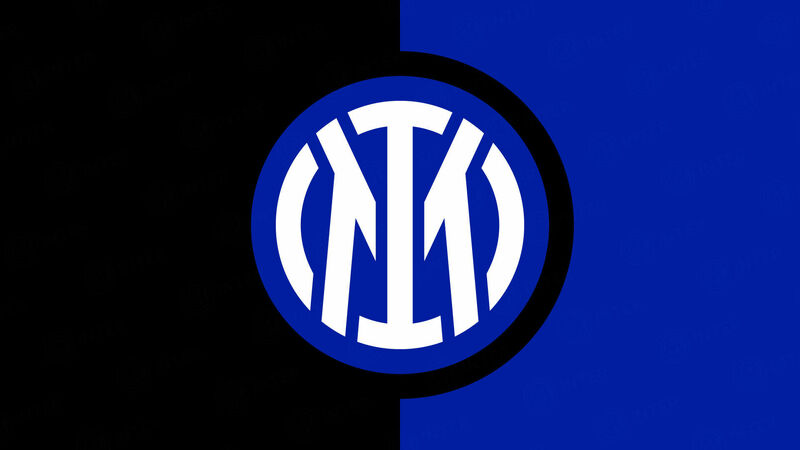 Either way, it was a bright start by the Nerazzurri. In the 12th minute came the first chance for Twente, Ruiz with the header, but the ball ended wide. In the 17th minute Sneijder won a free kick almost on the edge of the box: the Dutchman struck the crossbar. In the 20th minute Biabiany tried with his right but the Twente goalkeeper saved with little difficulty. In the 24th it was Pandev, served by Cambiasso, who shot, but Mihaylov answered him. A minute later the Bulgarian keeper managed to get a hand to Eto'o's shot, so saving from another danger. In the 30th minute a miracle by Castellazzi saved Inter from Janssen's venomous strike, and Twente tried again one minute later with Janko, but the ball went wide. In the 36th minute a Biabiany effort, form a Sneijder free kick, was just wide. One minute later the Inter defeat was caught off guard and De Jong almost made the most of it had it not been for Castellazzi. In the 41st minute Inter's defence was again caught on the break but Lucio managed to recover. In the 45th minute Cambiasso's left footer was blocked by Laugers, saving Mihaylov. With no injury time, the first half between Inter and Twente ended goalless. SECOND HALF - The second half began with no changes. In the 5th minute Eto'o's shot was on target, but Mihaylov did make the ball his. Inter kept insisting, with Sneijder, and especially with Pandev, his left footed effort however was just wide. Stankovic in the 7th minute tried to surprise Twente's keeper but the ball was over the bar. 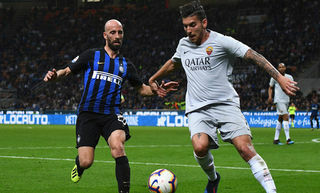 In the 10th minute Inter took the lead through Cambiasso, who fooled the keeper with a left footed shot after the ball had bounced off the wall from a Sneijder free kick. In the 17th minute a great move by Zanetti, who after a splendid run took a left footed shot, but ended just wide. In two further minutes came the efforts of Eto'o first and Stankovic second, but Twente resisted the attack. In the 22nd minute Sneijder was unlucky his shot did not to go in after he'd been set up by Eto'o. Good either way for the Dutchman, who seems to have rediscovered his flair. Two minutes later Inter wasted the chance for a second with Stankovic sending a shot which seemed like a penalty kick in motion was over the bar. In the 30th minute Twente hit the cross bar with a shot by Landzaat. One minute later arrived a venomous shot by De Jong which finished wide. 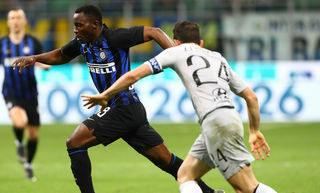 The Dutch did not surrender and kept on attacking with conviction until the end, but Inter withstood and with this win earned the qualification with a game to spare. Ten points in the group table, same as Tottenham, while Twente remains on five. Benitez: "Inter showed great character"